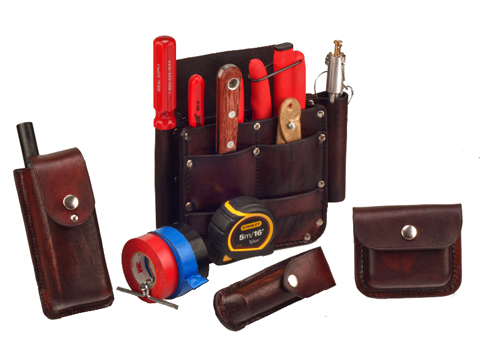 This tool bag and tool pouches were custom designed for a geologist working in the mining industry. He had specific job requirements that could not be met by existing equipment. The pouches were molded from pure vegetable tanned leather and hand dyed to the customers specifications.